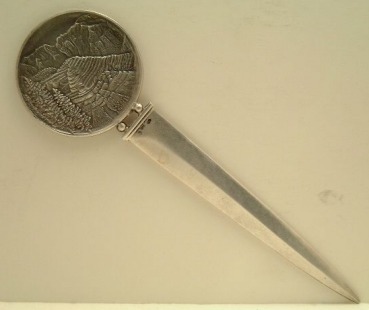 this silver letter opener was made in Wien (Austria) by silversmith Alexander Sturm around 1925. 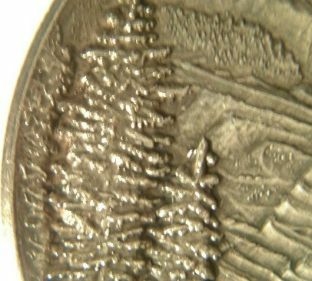 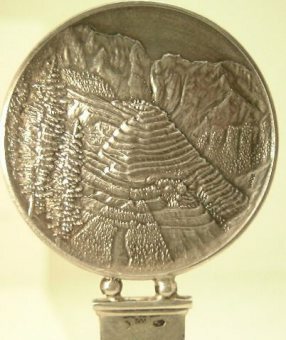 The top is cast with a scene of a mountain landscape and, I believe, was originally a medal. 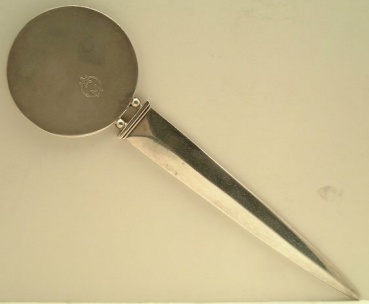 The letter opener is 6 1/4 in. 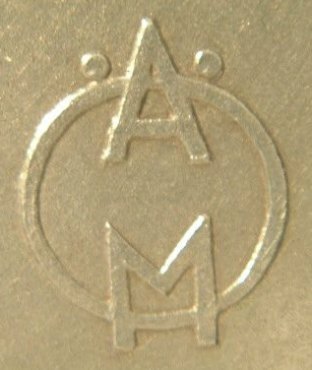 long (cm. 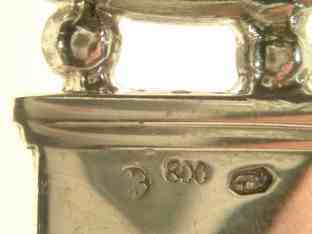 16) and was bought from an US dealer through the Internet.